Make your New York move safe and worry-free with a top-rated, full-service mover. Expo Movers is one of NYC’s best moving companies – and we have the reviews to prove it. Leave the packing to us. We are consummate professionals who will pack your items with great care. Our inexpensive packing services ensure that your belongings stay safe and sound throughout the entire move, and we use only high-quality, commercial-grade packing supplies and materials. Expo Movers is ready to provide any moving service you need, from just furniture, to an entire home or office. We have years of experience moving quickly and efficiently locally in New York City, throughout the state, and across the country. Expo Movers provides clean, climate-controlled storage units. If you need time before moving into your new home or office, we will pack and move your belongings to our storage facility. Whenever you're ready we will make sure it's safely delivered to it's final destination. We offer residential, commercial, local, and long-distance moves (both Interstate and cross-country). Expo Movers is ready to provide any moving service you need, from just furniture to an entire home or office, different types of storage services, plastic bins rentals are available as well. With many years of experience and positive customer reviews, we are the experts when it comes to moving. Our relocation specialists will take care of every detail of your upcoming move. Call Expo Movers today to discuss your upcoming relocation and all the ways we can help. Our top-rated, 5-star service is here to make your residential moving easy, fast, and memorable. Residential moving is our expertise. We know the city of New York and have many years of experiencing moving people and their families in and out of homes and apartments. We are a quick, efficient residential moving company. Expo Movers pays attention to the details of your move. Ultimately, we want you to have the best moving experiencing as possible with the least amount of stress. From packing to setting up furniture in your new place, Expo Movers can handle it all. All you have to do is ask. We will help you manage the end-to-end – from understanding and complying with your building requirements and rules, to giving you moving tips for making your move easy and effortless. We have a team of relocation specialists that will help you plan the move so that every detail is covered. If your new place is not yet ready to move into, or if you need storage for any other reason (such as a partial move), we can handle that, too. We have storage facilities to accommodate any circumstance, so just let us know. Every residential move is unique, and we offer custom services to meet your needs. The best way to know how we can help you is by getting in touch with us. Give us a call or send us an e-mail to discuss your commercial move. In addition to providing residential services, Expo Movers is a full-service office moving company. We’re the experts when it comes to commercial moving — tell us about your needs, and we’ll do the rest. Storage also isn’t a problem for us. We have the facilities that can store all shapes, sizes, and volumes of inventory. Moreover, we can easily provide you with climate control box as well. Let us know if you need a simple and clean, dry space to store furniture or a large warehouse. We can accommodate many types of storage requests. If you are looking to move within Manhattan, we will be happy to accommodate all your needs. Call today to see what we can do for you. Whether you are moving to another town, or across the street, Expo Movers has you covered. A local move is a short-distance move within a city or within a 60-mile radius of your current location. Expo Movers is licensed for both intrastate and interstate moves. Depending on the services and amount of c/f, your local move may take a couple of hours or a few days. We take care of every aspect of your local relocation, so there is no need to worry. We have the experience, knowledge, and necessary skills to execute the transition to your new apartment smoothly and efficiently. 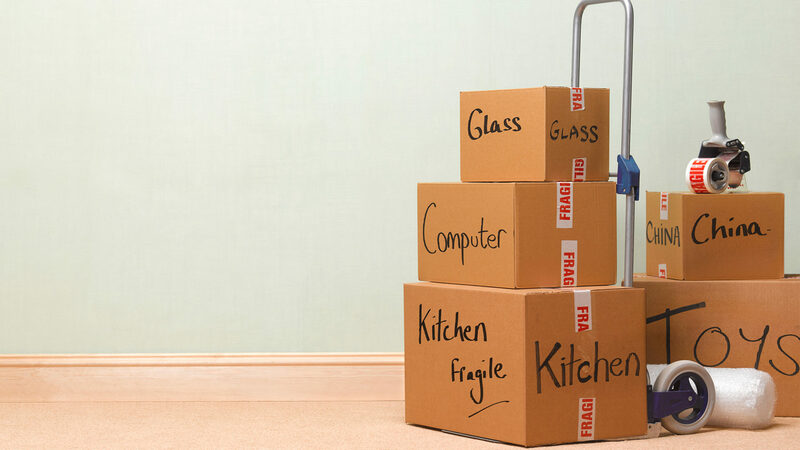 Expo Movers offers a variety of packing and storage services. We supply the boxes used during the move, plastic bins, blankets used to protect the furniture, tape, and bubble wrap. If needed, we always have available custom wood crating for fragile items such as fine arts, antiques, marble, and glass. Consult with us to determine how long your long-distance move will take and how much it will cost. Our aim is to get you into your new home or office as affordably and efficiently as possible and on time. We are a reliable long distance moving company located in NYC. Expo Movers understands that a long-distance move might be stressful. To make your move less stressful, choose an experienced mover. 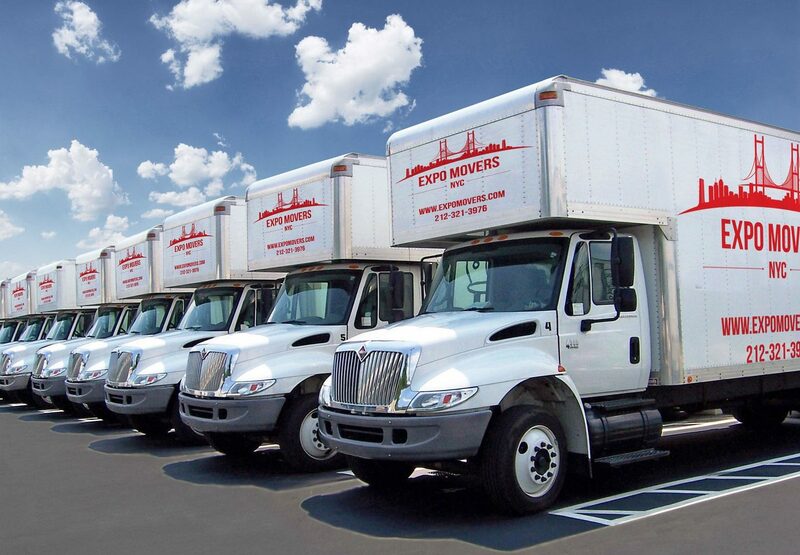 Expo Movers works individually with every customer to make sure the move will go smoothly. After submitting our form, you will receive a moving estimate promptly directly to your inbox. Expo Movers guarantees that all your items will be handled with care – wrapped in blankets, fixed in a truck, container or box, professionally handled, and delivered on time. We are a fully licensed and insured long distance movers. We have several different insurance options to make sure your belongings are covered. We are licensed within the state of New York and with the US DOT (Department of Transportation), and therefore we can handle any move, anywhere. Expo Movers is a professional interstate and cross-country moving company with very positive customer reviews. We will expertly coordinate your residential or commercial move out of the city to any location in New York or across the country. If desired, we will come and pack up your home or office carefully, and then load everything onto the moving truck. Often, long-distance moves required storage, which we can provide for you. Expo Movers handles a variety of special moves, including moving pianos, fine art, and antique furniture. These services are available for both residential and commercial moves. Expo Movers offers a prestigious and completely comprehensive removals service, and we are dedicated to executing every move to the highest possible standards. This includes taking exceptional care of your possessions – from packing and loading through to transit and delivery – and our antique removals service means even your extremely precious, highly valuable items are in the safest, most professional hands. We begin all our household removals with a detailed survey, assessing your individual requirements and needs. During this stage, you’ll let us know about any antiques or family heirlooms you wish to move, and our experts can then make the necessary arrangements for these items. Our packing service ensures that they will be transported in the safest condition - all having been individually wrapped by specialists in export wrapping for optimum protection. We have a wealth of experience packing, removing and transporting items of extremely high value – both monetary and sentimental – ensuring we are best placed to undertake your antique removal to the most exceptional standards. Simply contact the friendly team at Expo Movers today for more information. If you are looking for a professional, reliable piano removals team, look no further than the experts at Expo Movers. Our team of expert movers can maneuver a piano out of any room, no matter what its size or shape, making sure neither the piano nor your property is damaged. Our expertise means we have developed flawless methods of moving delicate items safely and securely, ensuring a simple, stress-free process and a piano delivered to its destination in perfect condition. The high-class service we offer includes a complete packing provision, making sure your piano is as protected as possible, as well as the option of a personal assistant to take care of every aspect of the move. For more information about our luxury piano removals service, contact Expo Movers today. We have established A+ reputation throughout NYC and the rest of the US for our superior standard removals service. This includes the careful, sensitive handling of high-value items, such as Fine Art and sculptures. Our team of precise movers have a lot of special handling experience dealing with fine art, pianos and treat every single piece with the attention it deserves. Expertly wrapped for safety and protection, placed in strong, individual picture cartons, your fine art will be completely secure during the move. Moreover, Expo Movers supplies wooden crates for ornate mirrors and gilt-framed artwork, if requested. We know relocation and moving your belongings can be stressful. Expo Movers takes care of every detail, from packing, moving, and storage, to supplies and insurance. Our professional services and great rates are the best in New York. Contact us today for a quick, free estimate. Expo Movers excels in providing high-quality customer service. Our experience and professionalism is second to none. We value our customers and strive for satisfaction, and each of our expert team members will go out of their way to make your move successful. Expo Movers is one of the highest rated moving companies in NYC. On Yelp, the largest online reviews site, we have only 5-star reviews, which is quite an accomplishment. That means that our customers trust us and recommend us because we exceed their expectations every time. If you are searching the Internet for the right New York moving company then look no further. We are fully licensed in New York and with the US Department of Transportation, and fully insured. We transport your belongings safely and with an incredible amount of care. We offer simple, affordable pricing and no hidden fees. Generally, local residential, commercial and long distance moves are based on a flat or hourly rate. We keep it simple, so that you know exactly what you’re paying for. When choosing a moving company, you want movers that are experts, professional, safe, and courteous. Our services go above and beyond that. 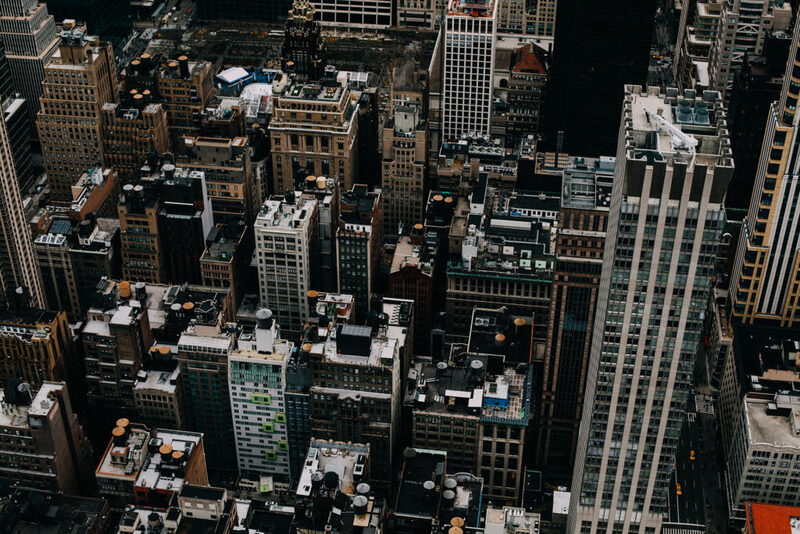 We know New York well, and we are familiar with the details of moving around the city, navigating the various building regulations and rules. Moving day means more than just moving boxes. We also help with dismantling and reassembling furniture, packing, mounting or dismounting televisions, and making minor repairs. Anything you need, just ask. We want to make sure you’re completely set up in your new home. Antiques, fine art, and pianos require very careful, expert handling. We ensure these special items get from your old home to your new home with the utmost care and consideration. We realize how valuable these items are to you, and we will make sure they arrive safely. I am fairly sure that every one of us wakes up on moving day wishing we could simply leave and return to find everything had magically been packed, moved, and sub sequentially unpacked for us. I am here to tell you that Saturday, I did just that. Ivan and his team are truly a dream. Planning the move, date changes, COIs and other building snafus snuck in and they were more than accommodating. Day of, I let the movers in to my old apartment around 10:00 AM, and returned to my new apartment at 3:00 PM to find a near clone of the former. The tchotchkes on my upright piano were arranged the same, the cabinets of dishes in the same order, and the TV rehung in the proper place. Few things are worse than moving, and after my experience with Expo Movers I can say that few things are better than a thorough, trustworthy moving company. I cannot say enough good things about them. I contacted them after a raving recommendation from a colleague, who had also learned of them through a referral. Jump on the hype train – you will be glad you did, and surely be sad if you didn’t come moving day. Expo movers did an amazing job packing and moving my things this week! The lead mover, Adrian, started by telling me to relax and not worry because they would take care of everything for me, and they did! Not only did they do a great job moving everything, Adrian took extra time to fix a cracked piece of wood holding the mirror to my dresser, which is something people working for a large moving company would probably never do. I highly recommend Expo Movers!